Ferme Jacob of Quebec captured the top award but Westcoast Holsteins of Chilliwack took home the lion’s share of the prize money at the 2019 BC Holstein Spring Show in Chilliwack on March 22. Co-owner Pat Conroy of Indiana led Ferme Jacob’s outstanding mature cow, Jacobs Lauthority Loana, to the grand championship of the show. With over 200 animals entering the ring, this was the largest show in BC in many years. It was also the first time since 1969 that a show string from east of Manitoba exhibited at the BC Holstein Show. 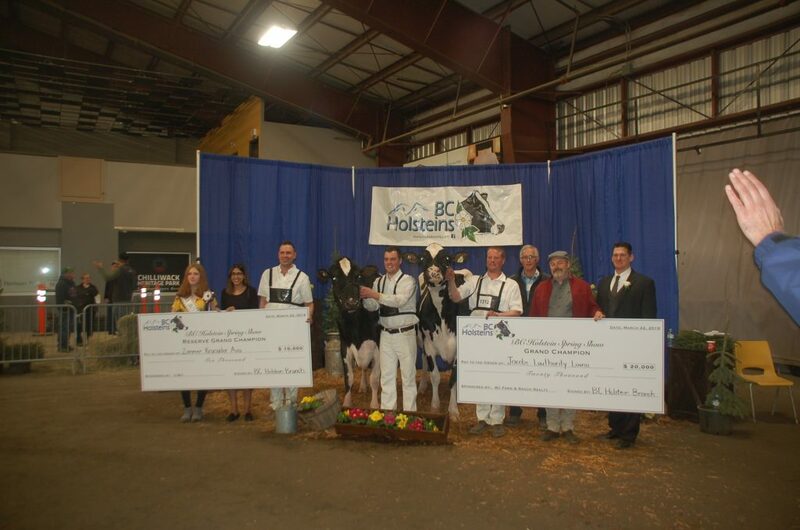 Thanks to generous sponsors, the BC Holstein Spring Show was able to offer a prize pool totaling $240,000. This was more than double last year’s prize pool, making it the richest dairy show in North America this year. Although the grand prize eluded its cows, Westcoast Holsteins took home more than $100,000 in prize money. It was named both the overall premier breeder and premier exhibitor of the show, and tied with T&L Cattle of Chilliwack as the premier exhibitor of the junior show. Junior three-year-old Maiz-n-Blu DB Scarlet-Red led Westcoast’s show string, and was named the show’s intermediate champion as well as its reserve red and white champion. Ferme Jacob and Westcoast Holsteins have not only two of the top show strings in Canada but also in North America, regularly placing among the champions of the World Dairy Expo in Wisconsin. 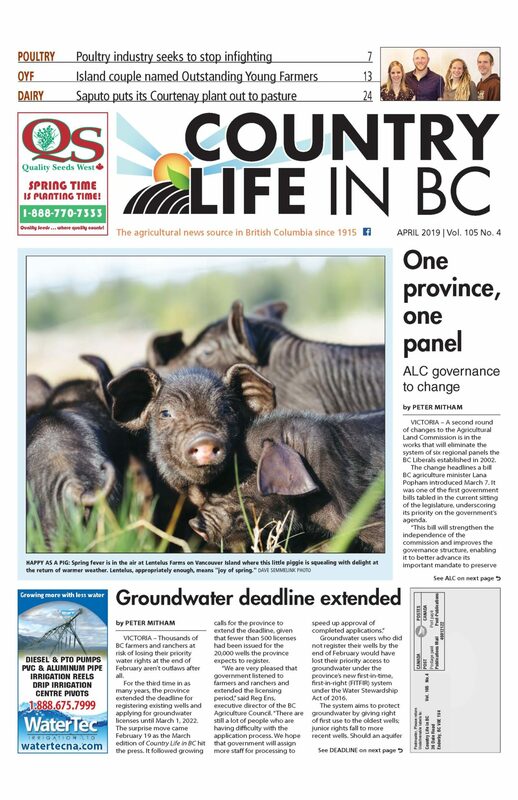 Despite showing just a few animals under its own name, Ferme Jacob brought about two dozen animals to BC. Most were offered for sale in a “tag sale” for three days prior to the show. Those which had not sold by noon Thursday were added to the Westcoast Classic auction, held the afternoon before the Spring Show. That sale saw over 100 animals change hands at an average price of $7,000 apiece. Topping the sale was Siemers Milk Bombi, a five-month-old calf consigned by Siemers Holstein Farms of Wisconsin. The calf’s genomic rating placed her among the top 10 Holstein calves for type in the US. She was sold in absentia to an absentee bidder, Velthuis Farms Ltd. of Osgoode, Ontario, for $200,000.